Jenco’s core offer is to put construction in place safely and at a profit for our customers and Jenco. We pride ourselves in being one of the safest electrical contractors in the valley which is confirmed by having one of the lowest EMOD rates among our peers. We strive to provide the safest environment possible for our employees as well as other people who are working on the jobsite. We understand that our safety record directly affects our customer’s, the General Contractor’s, ability to obtain additional work in the future. We know that to fulfill our core offer we must also help our customers produce a profit, and working safely and maintaining a low EMOD rate is one of the direct ways we accomplish that goal. 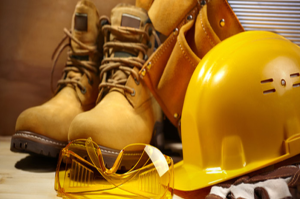 When an accident occurs on a jobsite there are many elements that are affected. Accidents produce delays to a project which increase the cost of construction and possibly cause the need for changes by the GC to assure they can provide satisfaction to their customer at the end of the job. There are also implications that the General Contractor will have to face in the future such as the ability to procure additional projects and higher insurance premiums. All trades are responsible for maintaining a safe environment in which to work. This affects not only your company, but all the other companies that are out on site with you as well. I’d like to take a moment to thank everyone for focusing on safety and helping us strengthen our offer to our customer. Keep up the good work!